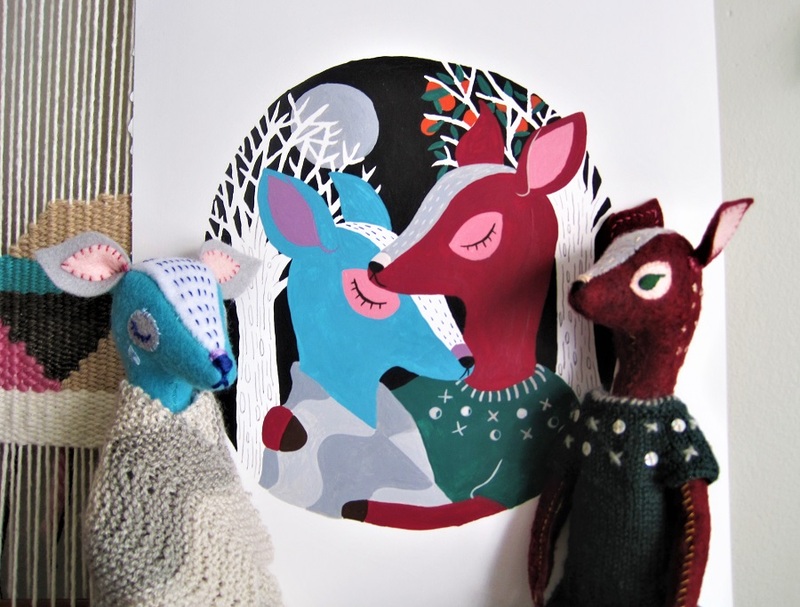 Today’s post is another gouache + ink painting – one that revisits the hand-sewn, felt deer pals I designed earlier this year, in a different medium. It seems that these inseparable pals are still hugging, and thus still reminding me of the importance of embodying a little kindness and care – toward ourselves, others, and our precious world. I chuckle to admit it here, but I was very loosely thinking of The Two Fridas (1939) when penciling this picture out. I changed the colours on the original sewn deer so that they’re a little more alike here – like two sides of the same doe-coin. Pencil sketch: most of the background was inked with a Winsor & Newton Kolinsky sable watercolour brush (there is really nothing like these, who knew that little weasel hairs make for a super precise point!). 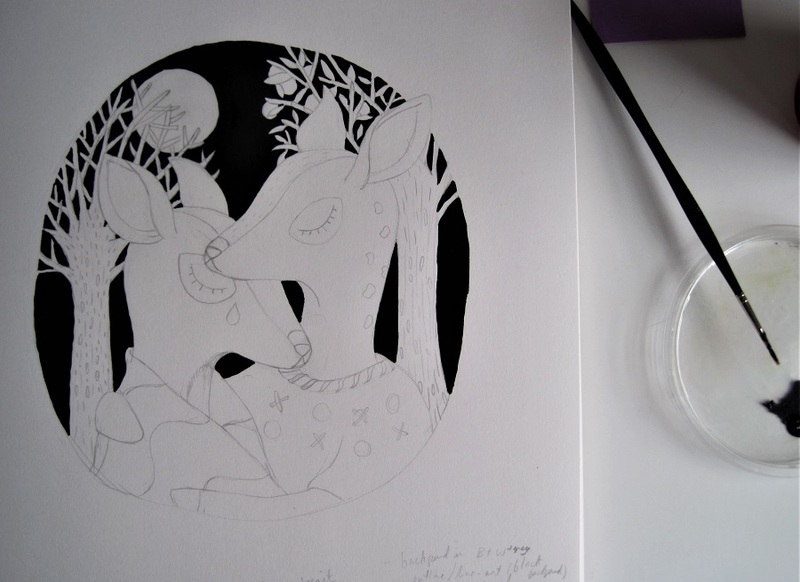 When they’re not hanging with the loom, the deer get to scrutinize their likenesses. Thanks to the wonders of scheduled posting, this post went live while I was sitting in a chair in the sky: I’m en route to 🇨🇦 today to spend quality time with family and friends, and get lots of work done. There is nothing quite like homecoming and reunion. I’ve kept the creative kit simple for my travels – one set of knitting needles (just one) and some drawing paper. I’m excited to find new yarn and coloured pencils. My internet access may be spotty, but I look forward to keeping up on your creative doings when I catch a wi-fi wave. 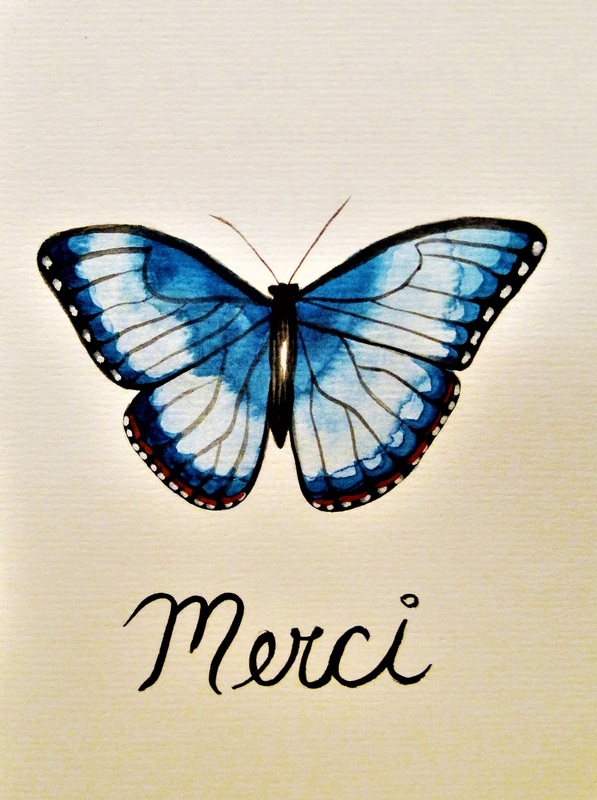 Thank you for reading, and wishing you lots of creative contentment, in the meantime!